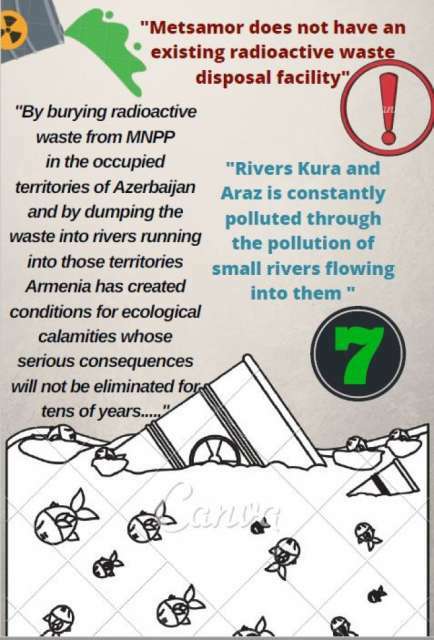 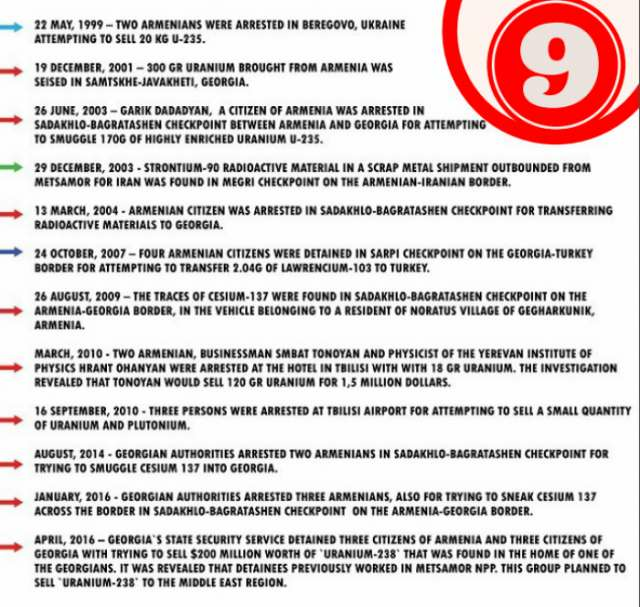 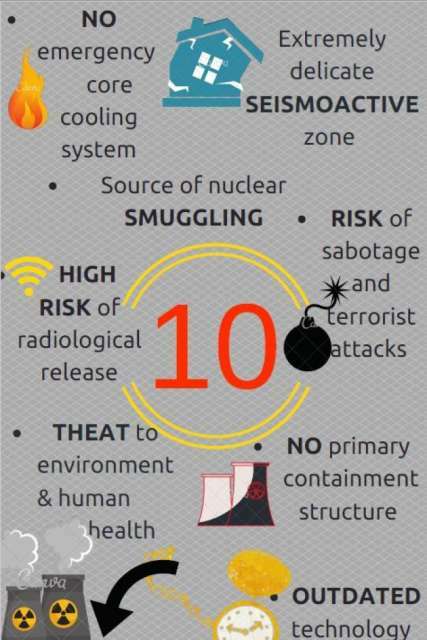 Azerbaijan’s Foreign Ministry has created an infographic, titled “Ten reasons for closing the Metsamor Nuclear Power Plant”. 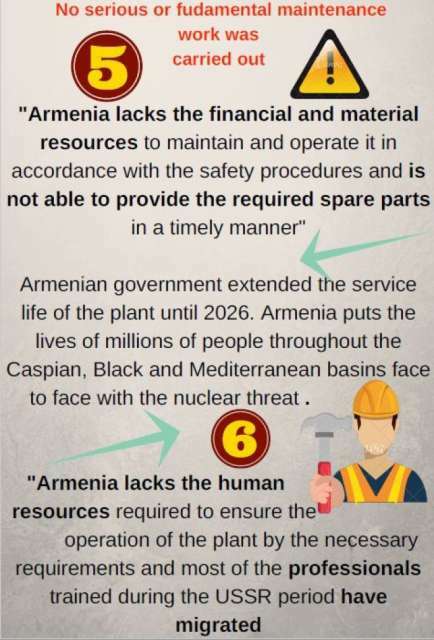 The infographic has been created in English and posted on the website and official pages of the ministry in social network. 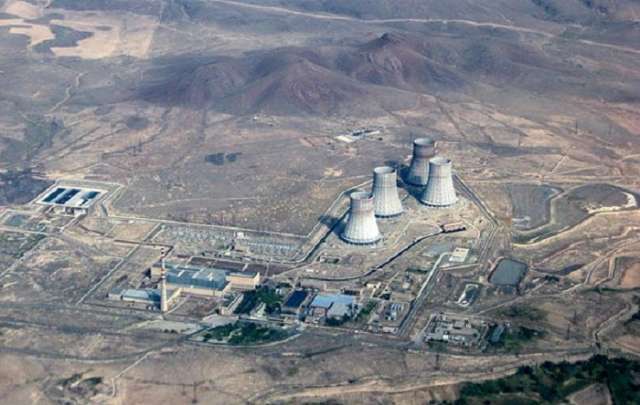 Construction of the Metsamor Nuclear Power Plant started in 1970. 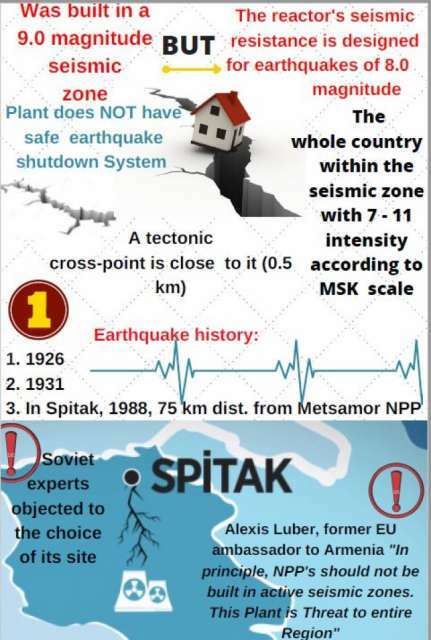 The plant was closed after devastating earthquake in Spitak in 1988 but in 1995, despite international protests, the plant was restarted and also the second reactor was launched. 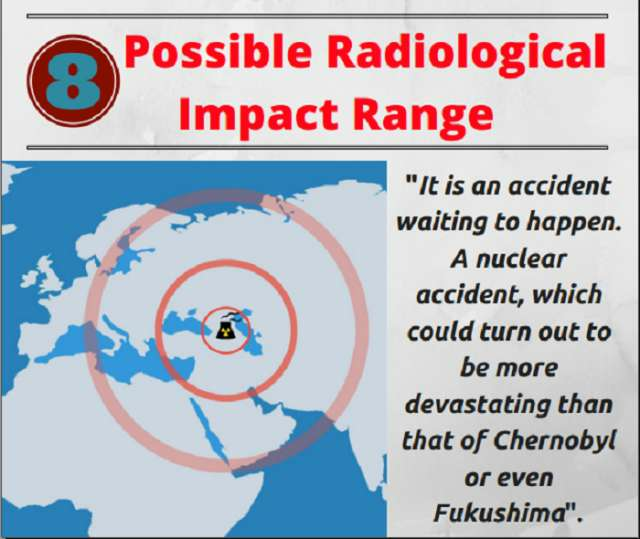 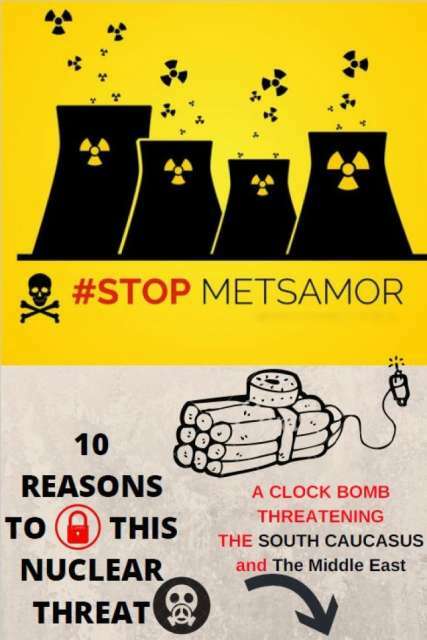 One of the gravest risks the Metsamor Plant presents to the people of the region is the potential for the production of nuclear arms. 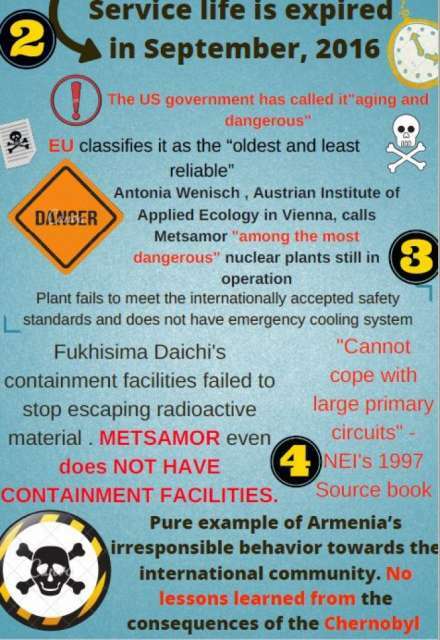 With the Armenian government refusing to shut it down for years on the pretext of not being able to produce enough power, the Metsamor Plant gives cause for concern over smuggling of nuclear materials. 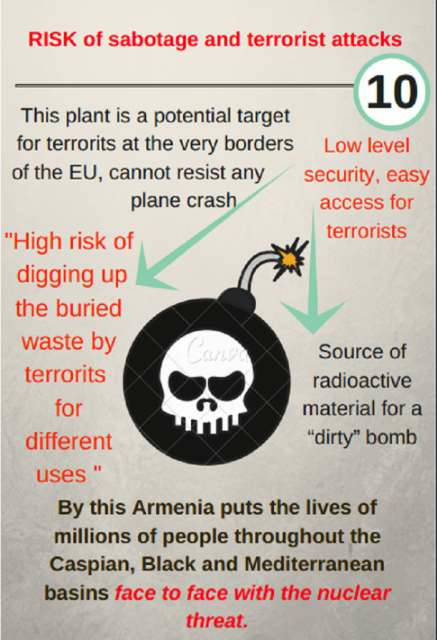 The Metsamor Nuclear Plant in Armenia, which has outlived its period of use continues to operate against the directives of many international organisations including the International Atomic Energy Agency and the European Union. 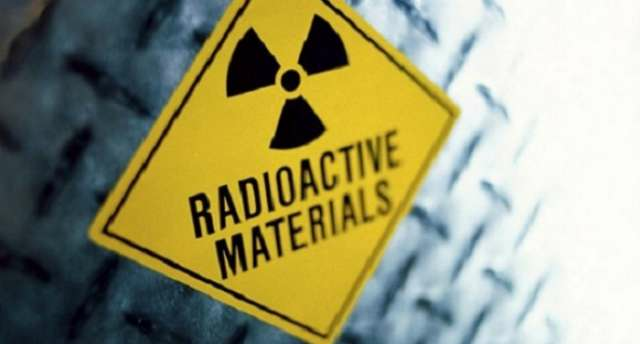 The latest announcement that the plant will continue to run until 2026 has lent support to existing concerns. 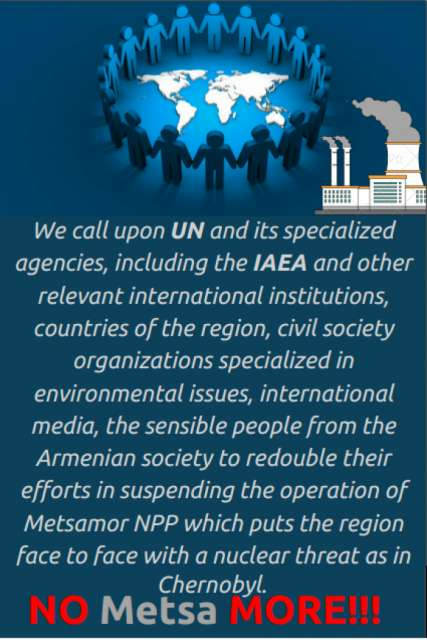 Azerbaijan has repeatedly expressed its concern over the situation with the Metsamor plant in Armenia and raised this issue at international organizations.